Fall garden showing their tops off! A fall garden means clearing out summer crops and making room for new planting in late August. Our fall beet beds are showing up nicely with plenty of greens to be in your shares over the next few weeks as we thin out the rows for the beetroot to grow! 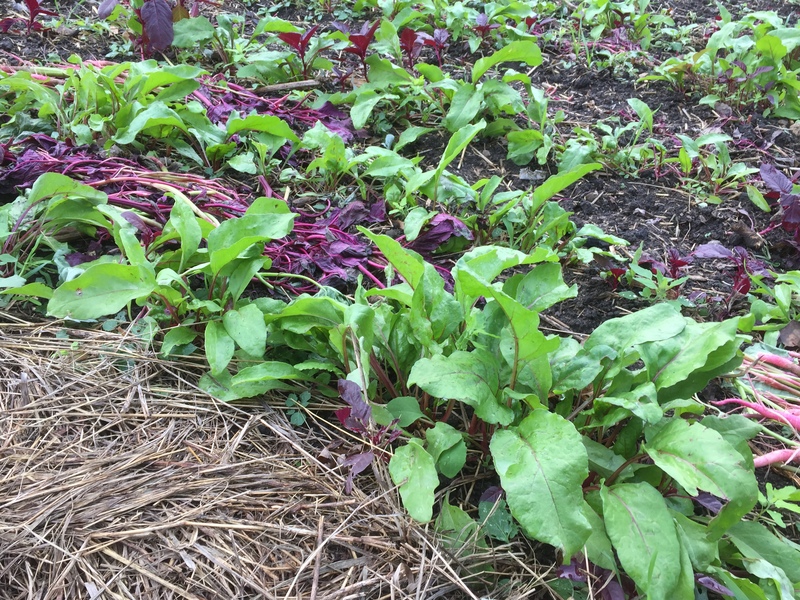 Beet greens coming up in the fall garden!